A common person won't believe if i will say that you can operate you PC or Laptop using your Android device. But it's true, you can use your Android Smartphone as mouse and keyboard. It has become possible only through the evolution of technology. Now you can turn your Android phone into a remote control. Now you don't need any wireless keyboard or mouse, your Android Smartphone is your new wireless keyboard and mouse. There is a app called gPad to turn your Smartphone into wireless keyboard and mouse. With gPad, your Android-powered Smartphone can let you control your mouse cursor and keyboard from a distance. GPad is available for both Windows and Mac. You can control either via Wi-Fi or USB. 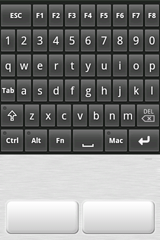 One can download specific keypads from the gPad categories or define your own keypads and share them with the world. Touchpad to use gPad as a remote touchpad with buttons and scroll area. Gpad overview with a list of all your created and downloaded profiles. Editor, where you can create and edit all your profiles. Settings page to setup you connection type and button appearance. It supports customized and customizable gPads. You can make your own gPads and configure your most used key sequences for all your programs. 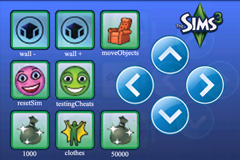 You can easily choose a background, create custom buttons, define the key sequences and automate your actions. You can use your android device as a remote touchpad with a left/right button and scroll area. You can also configure the mouse and scrolling speed in the settings. 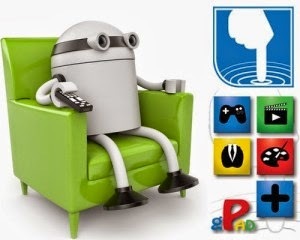 First of all download and install gPad Client on your Android device. Now you need to install gPad Server Client on your Windows & Mac PC. After the installation is complete, you will need to pair your Smartphone to your PC or Mac through Bluetooth, USB Cable or Wi-Fi (If you are on same Wi-Fi connection). The pairing must be done before proceeding with the next step. Now open gPad application in your computer or mac. After that open the gPad application on your phone, select 'Settings' and then select the 'Connection Type'. In the connection type, select any option between Wi-Fi, Bluetooth and USB connection. Now after the connection type is selected, go back to the 'Settings' page, scroll down to the setting using through you have connected and click 'Scan'. Select your computer as the pairing device. 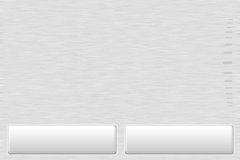 If you see on the settings page an option to input 'Input Address', this is where you place your computer's IP if your connection fails via Wi-Fi. 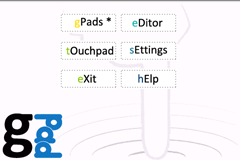 After that go back to the gPad's main menu and click on option 'touchpad'. This will allow you access to remotely control your computer's cursor from your Android phone. Thus this way you can easily control your computer or mac's screen. Navigate easily from distance and open anything you want to open without the use of any keyboard and mouse.